Nikka Whisky’s first-ever distillery is located in the small sleepy town of Yoichi, some 50 kilometres west of Hokkaido’s main city of Sapporo. Despite not being known for much except the excellent apples it produced, Nikka founder Masataka Taketsuru selected Yoichi because it had environmental conditions closely resembling that of Scotland’s – it was located close to the sea and had a cool climate. Importantly it also had access to good barley, peat and some of the best water in Japan. Taketsuru, the scion of a sake brewing family from Hiroshima, believed (rightly) were crucial to making excellent whisky, and so he started his distillery there in 1934. Nikka Whisky was founded originally as Dai Nippon Kaju, or the Great Japanese Juice Company; it first made apple juice and other apple-based products from Yoichi’s famed apples, as well as apple brandy. The name was later shortened and changed to Nikka Whisky in 1952 to reflect its new (and originally intended) focus on making whisky. Taketsuru had travelled from his native Japan in 1918 to study chemistry in Scotland’s University of Glasgow. But the real reason was a research trip to study whisky making – at that time the Japanese had already learned the arts of making beer and brandy from the Europeans, but they haven’t quite discovered the secrets of distilling whisky. Taketsuru apprenticed at the likes of Longmorn and Hazelburn, learning about the business of making whisky. He returned to Japan in 1920, and in 1923 joined Kotobukiya (which later became distilling and brewing giant Suntory) when he was approached by its president Shinjiro Torii. Taketsuru later left Kotobukiya when he fell out with Shinjiro Torii over the finer points of making whisky; for example, Shinjiro chose to build his distillery in Yamazaki, Kyoto for mainly financial reasons which Masataka disagreed with. He decided to strike out on his own, and Nikka Whisky was the result. The first bottles of Nikka whisky went on sale in 1940. Today the original Nikka distillery in Yoichi is still fully functional, although parts of it has been converted into a working museum with a walking route for visitors to tour. The distillery grounds are exceptionally beautiful in any season, its wide open spaces and carefully pruned foliage interspaced amongst its buildings. Distillery staff, liveried in blue, can be seen in the distilling plant shovelling peat into massive furnaces to heat the pot stills, while other buildings house hundreds of casks in which the precious liquid rest and age, caressed by the brisk cool winds that blow from the Sea of Japan into the warehouses. Touring the distillery is free. 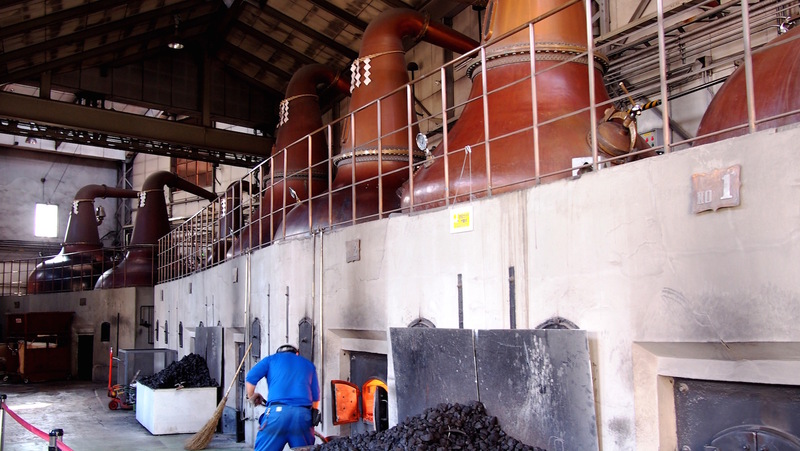 Japanese-speaking guides are on hand to bring you around and explain its whisky making process; for English speakers simply pick up a map and take yourself around on a self-guided tour. You get free tasters at the sample bar of a couple of whiskies from its core product range, as well as of an excellent apple brandy it makes. Nikka Whisky is today owned by Asahi Breweries. The leading Japanese beverage maker first invested in Nikka in 1954, but acquired them fully in 2001. 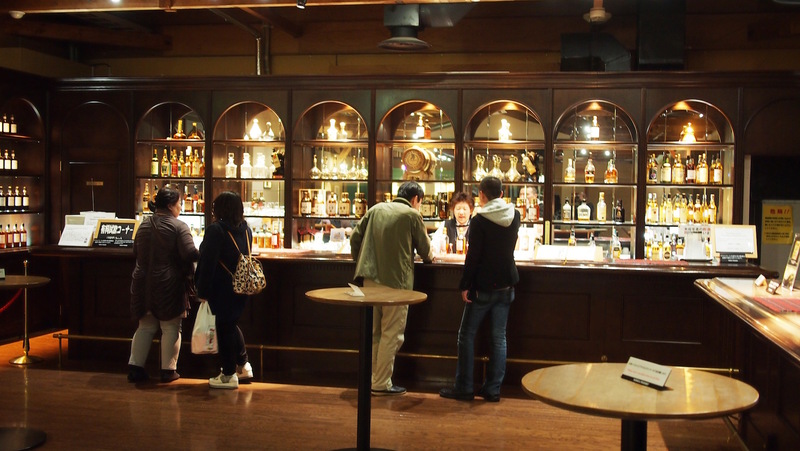 But for whisky geeks the Holy Grail lie in the innocently-named Whisky Museum, where within the darkly lit building showcasing a number of exhibits detailing Masataka’s life and achievements (as well as his love story) is an almost hidden bar that offers paid samples. This tasting room, unlike the one located near the distillery’s souvenir shop that offers free samples, depending on availability and season has a large selection single cask and single malt expressions that is rarely seen outside Japan. Some of these whiskies showcased here, like the “Sherry & Sweet” or “Peaty & Salty”, are distillery exclusives, so be sure to pick up a bottle or two from its souvenir shop. 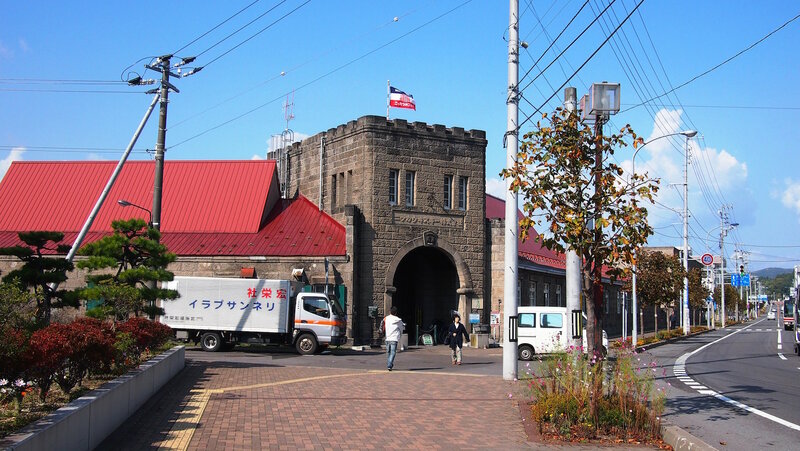 You can reach Yoichi easily from Sapporo via train; it’s a mere 10-minute walk from the station to the distillery. Nikka Yoichi distillery is located at 7-6 Kurokawa-cho, Yoichi-cho, Yoichi-gun, Hokkaido. Phone: +81 135 23 3131.